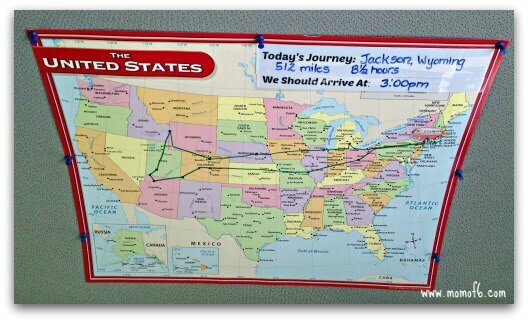 If you are planning a cross-country road trip covering so many states- it can be hard for kids to have a picture in their heads of exactly where you're going, how far it is, and what the journey looks like on a map. So to help create that picture, I borrowed an idea that I had seen on an airplane trip, where the TV screen showed exactly where the plane was on the map. Here's how you can avoid the calls of “Are We There Yet?” on your family road trips! 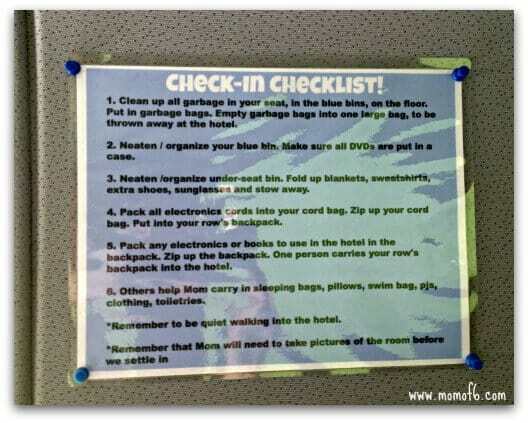 Another handy-dandy item that I've tacked onto a wall of the car is a “check-in checklist” for the kids to use when we arrive at a hotel. I want us to be able to clean up and organize the car so that it's ready for the next day's adventures. I also to assign each child a role as to what they're going to help me carry into the hotel- the clothing, the PJs, the swim bag, the toiletries bag, etc. The checklist also reminds the kids that they need to be quiet when we walk into a hotel- we are a large group, and we can make a lot of noise! 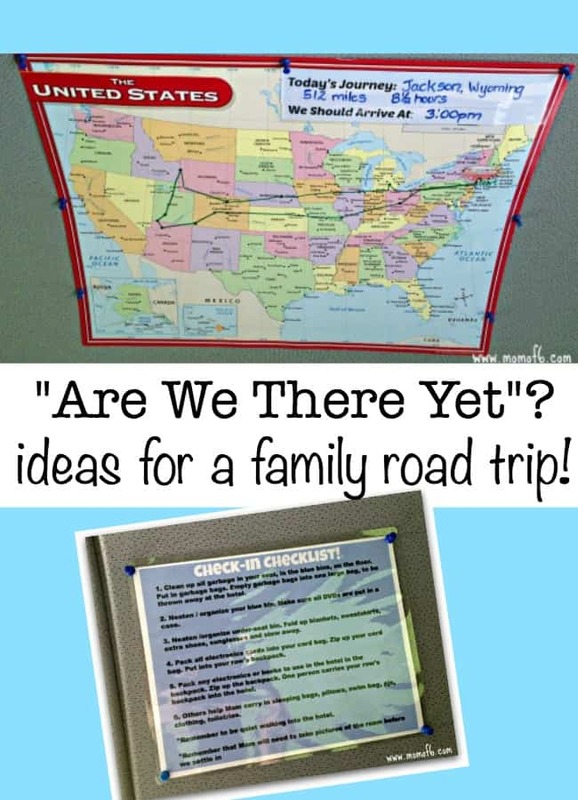 Want to See Family Road Trip Organization in Action? « Rockefeller State Park: Hiking with Kids! Keep in mind that my kids have been “well trained” for long road trips- by logging many miles even as babies out to the midwest to see grandparents, and even down to Florida. Plus- the older they get, the more they can keep themselves entertained in the car! Good luck Mindi! So clever. This should make the trip even more fun.